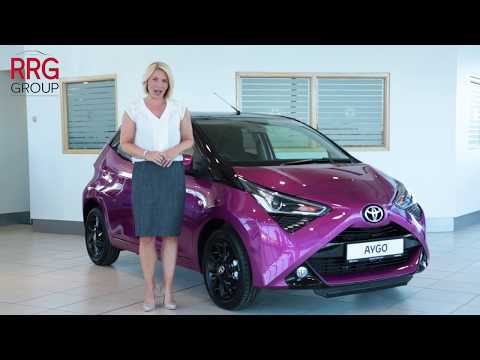 Express your individuality with the new Toyota AYGO available now at RRG Toyota. Sporting an eye-catching design and lively performance, the new Toyota Aygo is the ideal companion for urbanites. Its compact size makes it simple to manoeuvre and park, while a palette of striking colours won’t fail to turn heads on busy streets. Step inside and you’ll find big-car comfort and up-to-the-minute technologies to make every journey a pleasure. There’s a revised instrument cluster with new graphics as well as a 7.0-inch touchscreen that connects to multimedia, Bluetooth and – on selected models – the x-nav satellite navigation system. The model is better than ever under the bonnet too. With a 1.0-litre engine that has been refined to offer greater efficiency and lower emissions, it provides a clean, crisp drive. Delivering 71bhp and up to 72.4mpg, it gives you optimum power and ensures you can make more of every tank. Light steering ensures the Aygo handles city streets with energy, and improved sound absorption maintains a calm atmosphere in the cabin, even at higher speeds. Plus, with excellent composure, you’ll keep stable on even the most twisty roads. * Standard on x-plore. Optional on x-play and x-press. Not available on x, x-cite and x-clusiv. x-nav is not compatible with smartphone integration. Compact and streetwise, AYGO has all the ingredients to keep you safe. Equipped with Pre-Collision System (PCS) and Lane Departure Alert (LDA) – AYGO’s prepared for any eventuality.